With the regular season concluded, it's time for the conference tournament. Below, I pick who I think will win each game. Erik will likely post to do the same, and we'll see who gets bragging rights (we'll still be placing individual bets for any game featuring the Boilers). Will any team not destined for the NCAA Tournament make a big run? Will IU blow it and jeopardize their #1 seed in the Big Dance? Can Iowa do enough to make it off the bubble? This game is a total toss up of talented yet horribly inconsistent teams. Your guess is as good as mine, but fortunately whoever wins has already beaten the Hoosiers! I'll take Illinois in a narrow win, simply because the Gophers are playing pretty poorly on the road, and a tournament game in Chicago might as well be a home game for the Illini. As much as I like how the Nittany Lions are playing lately, no longer a guaranteed win on the schedule for conference rivals and avoiding blowouts to the better teams, Michigan is going to be aching for a win after blowing their lead against IU. Also, the conference tournament is all about revenge, and Michigan will certainly be thirsting for it after getting embarrassed by Penn State a couple weeks ago. Nebraska is no slouch, having a better season than I expected with recent wins against Minnesota and Iowa, but they can't win away from the soon-to-be-destroyed Devaney Center. The way Purdue has been playing lately, this shouldn't be too close, but with the Boilers you never know! The Hawkeyes draw the easiest first round game, since Northwestern is playing worse than anyone right now (eight straight losses). With an NCAA bid potentially on the line, I don't see any way Iowa comes out flat. It's time to show your teeth Boilers! Talk about a great opportunity for revenge. Tyler Griffey won't be getting an open layup to win this game, and the Hoosiers will easily handle the far inferior Illini. I'd love to see the upset, but Indiana is too good to sleep on a team that already beat them (in horribly shameful fashion). Do I pick the better team or am I a homer? 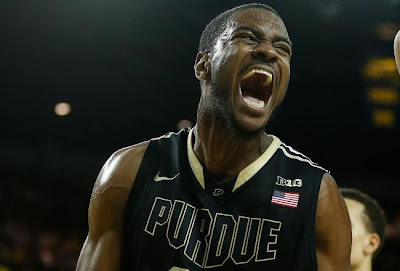 Sure, Purdue is playing some of its best basketball of the season right now, but is it enough to upset the Buckeyes? Ohio State has won their last five games with victories against Minnesota, Michigan State, Indiana, and Illinois in that stretch. That is very, very impressive and shows the Buckeyes are as good as their ranking. They haven't lost a game to an unranked team all season, and despite the feelings in my heart, the head prevails, the bad guys win, and Purdue fails to qualify for the NIT. This is a tough one. Do I pick the highly talented Izzo-coached team or the young guys playing for their NCAA life? 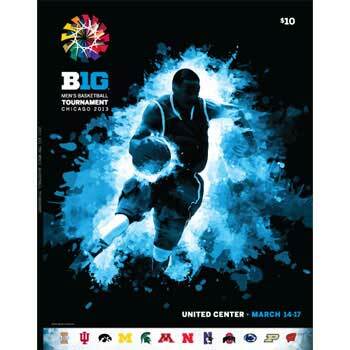 While I think the Spartans are beatable, they'll win this one in a tight battle, but shockingly Iowa will make the NCAA tournament due to the Big Ten being valued by the selection committee. Another chance for IU to get revenge on a team that beat them this season. Only this time, it won't happen. Bo owns Crean, and he'll prove it again. Which neighboring state will have more fans in the stands for this one? I predict the Badgers. Bo's Boys play admirably in making it this far, but their inconsistency shows and OSU wins by double digits. It's sad to pick the Buckeyes to win anything, since their school and fanbase are so deplorable, but at least that means IU didn't win. Think you have a better prediction? Let us know! Since I'm so great at picking these games, for a small fee I'll fill out your NCAA Tournament bracket for you. It'll be a sure thing!